Chanel has been ordered to pay the sum to their former knitwear supplier, World Tricot, who accused them of copying one of their designs. Chanel has been ordered to pay a former knitwear supplier, World Tricot, £161,000 (€200,000) by the Paris Court of Appeal. The ruling is the latest twist in an ongoing legal battle between the two companies. In 2009, World Tricot attempted to sue Chanel for £3.6 million: £1.3 million for wrongful termination of the business relationship, and £2.3 million for alleged counterfeiting of a white crochet pattern. 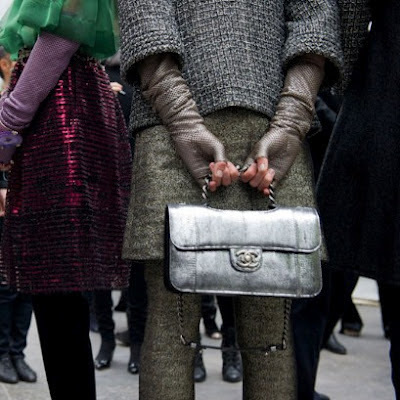 Chanel denied all accusations and the commercial court ruled in their favour ordering World Tricot to pay Chanel £161,000 euros for "public disparagement". However, the court decided on Friday to overturn that ruling and instead ordered Chanel to pay World Tricot. "This is the first time we have faced this type of situation, although we work with close to 400 suppliers. This very specific case is in no way a reflection of the quality of our relations with our suppliers," Bruno Pavlovsky, president of Chanel fashion told WWD . Chanel says they will decide "shortly" whether or not to appeal the decision to the French Supreme Court.